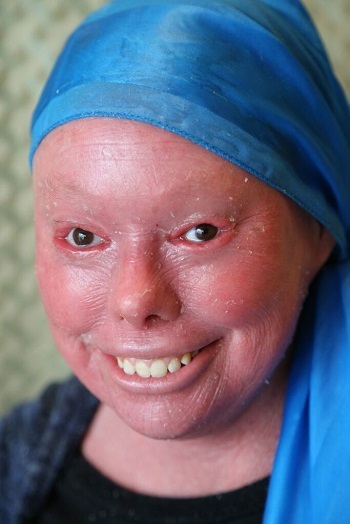 In honor of Ichthyosis Awareness Month, FIRST will be featuring some of our members and their touching stories throughout the month, highlighting their personal journeys dealing with ichthyosis. This was my yearbook senior quote in 1998. 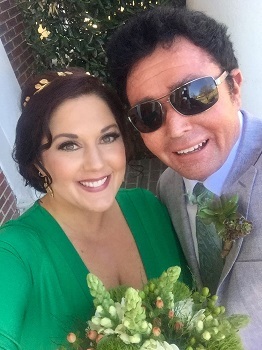 When first dating my husband Cory, I began lovingly and jokingly calling the skin flakes that were EVERYWHERE in my house (sheets, furniture, floors...y’all know!) “Cory confetti”. Little did we know then that Cory’s type of Ichthyosis was in fact known as “Ichthyosis en Confetti”. Sounds kinda’ like festive party decor, right?!? He was constantly sweeping his flakes off all the surfaces in his new girlfriend’s house...often embarrassingly, yet mostly out of habit. Fast forward two years, and Cory is on the road as a finance rep, and is out of town about 3 weeks out of every month. I HATE sleeping on “clean” (ie: flake free) sheets when he’s gone. LOVE dares to be different. LOVE dares to dive into the unknown. My husband is my whole world. His confetti is a bonus that I never knew existed, and sure as hell didn’t know I would grow to cherish. Cory has always been different. He didn’t strive to be such as I did...he was born to stand out, and totally does. ? The ichthyosis community has always felt like home to me. The remarkable normalcy of being in a room with people who go through the same thing you do. I’ve always done my best to be a bridge between those of us who live this every day and those experiencing it for the first time. I believe that nothing is a coincidence and that God has a plan for me and my life. I want to make the most of that. So I am going to be attending Pittsburgh Theological Seminary starting in the fall to reach for a Master’s of Divinity degree. I want to learn how God can best use me to spread the word about ichthyosis! Difference is what makes us beautiful! We’re all made in God’s image and if God looks like all of us, that’s a beautiful thing. Hi, I'm Bailey and I have ARCI-lamellar ichthyosis. I'm not going to lie, growing up different was a challenge. I honestly thought I was ugly and became very shy and insecure...all because of my skin and how people reacted to it. Thankfully, I didn't stay in that pit and I have been able to overcome my insecurity and become the confident young woman I am today. (If you're coming to the conference this summer, you will get to hear my story!). Now, I strive to give back. 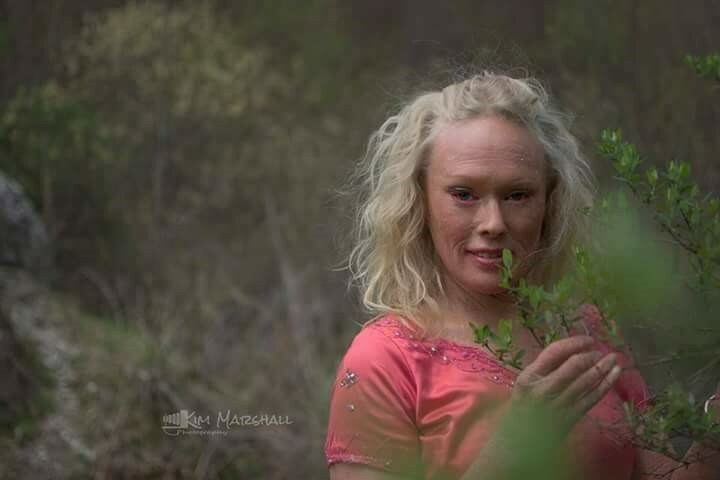 I'm the kind of person that tries to live life in such a way as to inspire others to overcome their obstacles and not hold themselves back, especially those in our ichthyosis family. I've won beauty pageants, done some modeling, and my most recent endeavor is motivational speaking. And something else that is near and dear to my heart is the Release the Butterfly Concert Tour which raises awareness of ichthyosis and funds for FIRST. Just remember to be Uniquely YOU. You have a choice: you can look in the mirror and hate yourself or you can choose to recognize your own beauty and love the skin you're in. You are enough, simply because you exist!